Standard - $48.99 Only 6 left! Back in Roman times, only the barbarians of the world wore those silly things called "pants." The nobles of the civilized world would never dream of such things. There are far too many benefits to skirts, kilts, or whatever you want to call them (we prefer tactical combat leg garment). You can stay nice and cool down under, your belt can focus more on holding your sword, and your legs will have a fantastic, unhindered range of motion that a pair of jeans will never be able to give you. Some people might think that shorts can do a similar job, but to that we say armored cargo shorts are way too difficult to make and they don't look near as good. 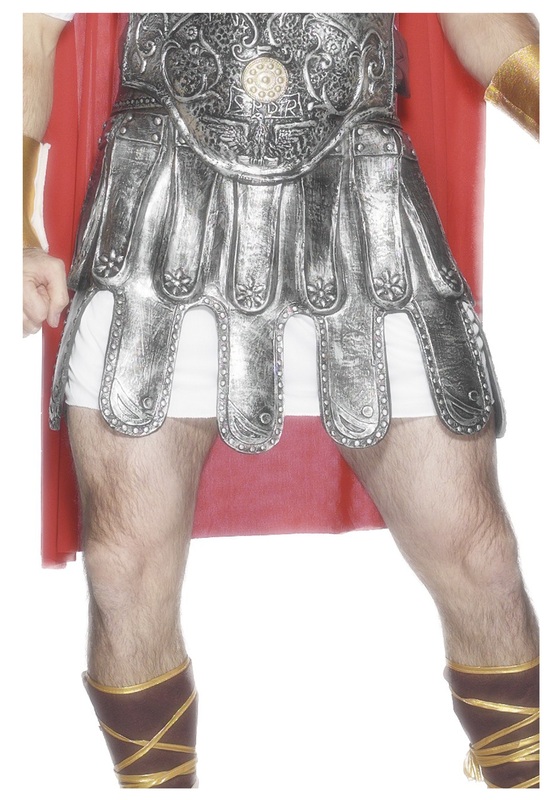 Most people will be saying things like "Hey, nice legs," but if a few dumb hooligans give you crap about wearing this sweet Roman armor skirt, you can do one of two things. You can calmly describe to them the various benefits of a skirt that we gave you, or you can pull out your sword and lay on some serious smack downs to all those unbelievers. The choice is yours, because you're the awesome dude in a kilt.